Kong Meng San Phor Kark See Monastery (KMSPKS) was founded in 1921 by Venerable Sik Zhuan Dao from China. It serves as a place for Buddhist monks to practise and propagate the Dharma. Kong Meng San which means “Bright Hill” in Chinese, is the name of Guanyin Bodhisattva’s Pureland. Phor Kark See the “monastery of universal awakening”, encapsulates the vision and aspiration of the monastery to reach out to all sentient beings to assist them in the path towards Awakening, Nirvana! Rooted in the Mahayana Buddhism Tradition, the Monastery embraces other traditions through organising or co-hosting their activities. It also participates actively in National Racial & Religious Harmony programmes. To improve its Dharma Propagation efforts, the monastery had implemented many changes over the years to better serve the public. 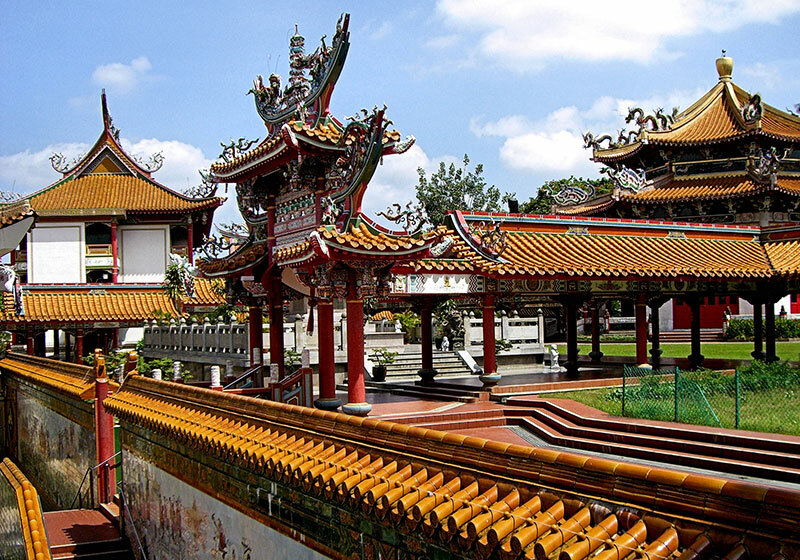 Short Description: The Kong Meng San Phor Kark See Monastery is a Buddhist temple located in Bishan, Singapore. Built by Zhuan Dao in the early 20th century to propagate Buddhism and to provide lodging for monks, this monastery is the largest Buddhist temple in Singapore. Highly Recommended Place Where You Should Not Miss! !